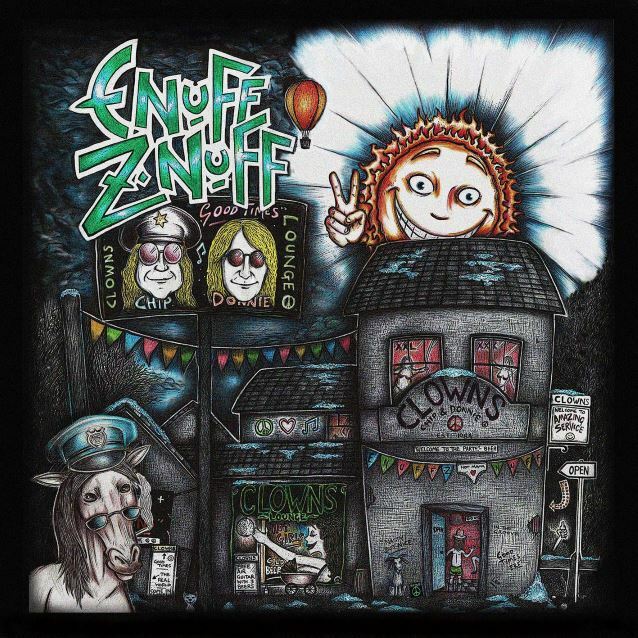 ENUFF Z'NUFF's new album, "Clowns Lounge", will be released on December 2 via Frontiers Music Srl. "Clowns Lounge" is a collection of rarities and early demos that have been reworked and re-recorded by the band. This exceptional collection also features a guest appearance from the late Jani Lane (WARRANT) as well as an appearance from James Young of STYX. "We had unfinished, unreleased material in the vault, and I went back into the studio in Chicago and started working on all the songs," said Chip Z'nuff. "Guitars, bass, vocals, it all needed to be tweaked, and with help from Chicago Recording Company and Chris Steinmetz of Stonecutter recording studios, we were able to create another rock-solid record. It is basically an archival record featuring original band and ENUFF Z'NUFF as it is today. The record showcases the best elements of ENUFF Z'NUFF in the early days: in-your-face glitter rock with pop overtones. This is a true must have rock record for the diehard ENUFF Z'NUFF fans worldwide." Chip on how the songs came about: "Donnie and I wrote the songs in the later part of 1988-89. They were recorded in Lake Geneva, Wisconsin, on two-inch analog tape, during the time of our debut. The tracks were never finished, as we were very prolific and focused on laying down as many ideas as possible. Through the resources provided to us — recording studio, production, etc.— we had a plethora of songs during that era and, for one reason or another, this batch slipped through the cracks. "To restore the record we returned to the studio to record guitar, bass vocals, etc. which took us about six weeks in my studio and at CRC (Chicago Recording Company) along with Stonecutter studio in downtown Chicago. The skeleton of the song was already in place and we wanted to make sure the record had the feel of where the band is today. We also added a bonus single track ('Dog On A Bone') that we plan on releasing as the first single." Of course, a huge contributing member to this release was Donnie Vie. 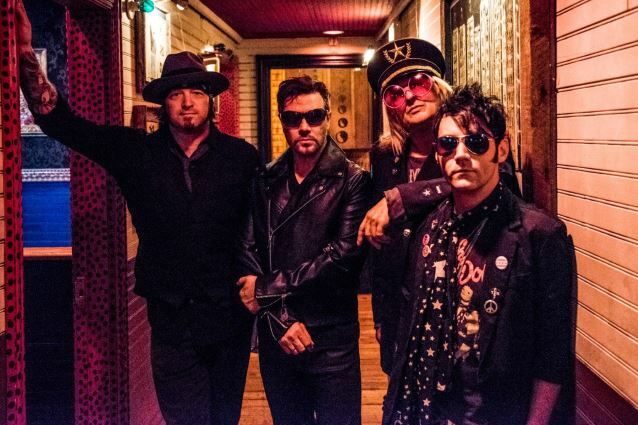 "Donnie and I wrote the songs together, as we have on all the ENUFF Z'NUFF albums," Chip continued. "In 2013, Donnie left the band, disillusioned by the business and facing related health issues, and although he will not tour with the band, he still shares in our vision of putting out great music. As he is dealing with his medical condition, we have his blessings on the record and moving forward with me as lead singer. "When Peter Gabriel left GENESIS, Phil Collins took over lead vocal duties. That is exactly the template we used here as now I front the band and look forward to moving it into the future."